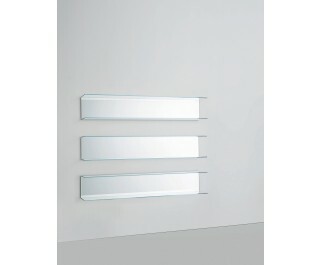 A series of shelves with mirrored back and transparent extralight double plate mm. 8 thick tempered. In addition to sustaining and containing, this shelf is characterised by its formal purity and lightness and as well by its reflecting function.